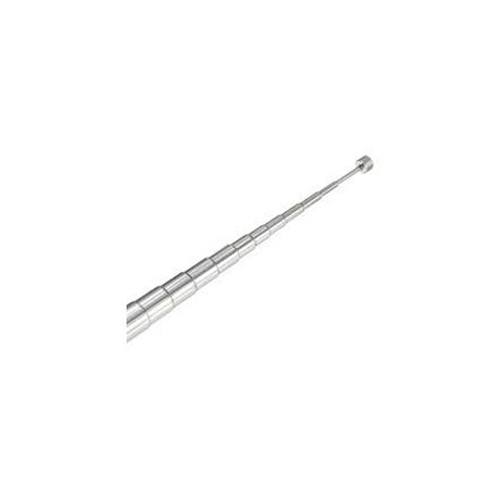 We are the leading provider of Stainless Steel Radio Antenna. These products are identified amid patrons for their noticeable features such as longer life, durability and nominal cost. Established in 2012, We Guru Ji Electronics are occupied in Manufacturing and Wholesaling of Car Antenna, Transistor Antenna, Brass Pipes, Brass Jotter Refill Pipe. These products are available in numerous specifications that meet on our valued clientele. We are supported by a team of well-informed, dedicated and adroit workers, who help us in catering to the varied requirements for our patrons. Apart from, our easy payment option, client-centric approach, transparent dealing and timely delivery have assisted us to attain the reputed name in the industry.